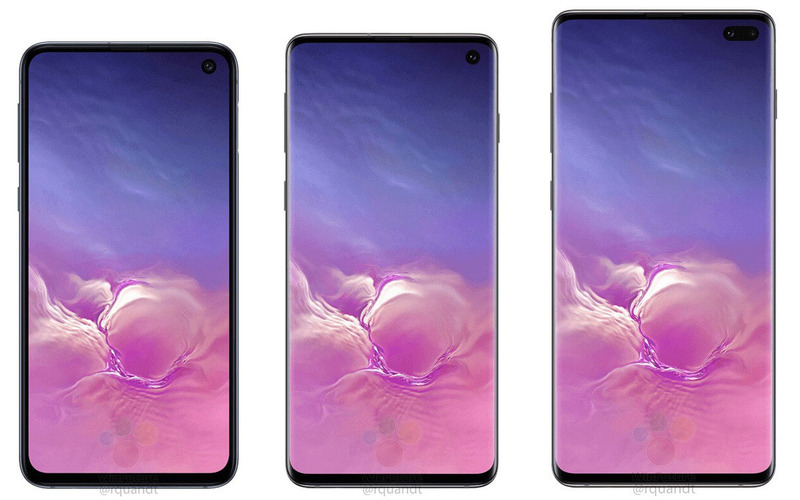 After countless leaks, rumors and endless speculation, we finally have official proof form the US government that the Samsung Galaxy S10e, Galaxy S10 and Galaxy S10+ are real. Having tested their cellular, Wi-Fi- Bluetooth LE, NFC and MST (for Samsung Pay) radios, the FCC has officially certified the three phones for use within North America. The FCC’s documentation doesn’t go into detail regarding the components which are used inside each device, but the three phones heading for North America are expected to be powered by Qualcomm’s 855 SoC rather than Samsung’s Exynos chip which will be used in other markets around the globe. The Samsung Galaxy S10e (SM-G970U), Galaxy S10 (SM-G973U) and Galaxy S10+ (SM-G975U) listed by the FCC are all expected to make their official debut at Samsung’s Unpacked launch event on February 20th. As of now, the 5G variant and the rumored Galaxy S10 X are still not listed by the FCC. There’s no way of knowing if the devices have been submitted for FCC approval or not. With the official certification process taken care of, we expect the retail launch of the Samsung Galaxy S10 during the first week of March. How excited are you to get your hands on Samsung’s new flagship smartphone?